There are a number of factors which you need to take into account when you’re looking for a good locksmith. While there are a number of Kirkland locksmith’s available, all of them aren’t reliable, trustworthy, or credible. You should be able to reach them with ease in case of an emergency. It’s always good if you can rely on referrals from family, friends or colleagues. If you’re looking for a reliable and quick service you can trust, you wouldn’t want to choose a locksmith’s which is too far from where you live. Having referrals makes things easier every time. If you do not have anyone who can recommend a Kirkland locksmith’s to you, then the next place to look is the internet. There will be a number of locksmith’s on the internet like Lock Patrol, and all of them would be more than willing to assist you. Choosing the best Kirkland locksmith’s from this list will be a little hard, though. While you are looking for a good Kirkland locksmith’s online, look at the services which they provide. Do they offer around the clock service? What about emergency services? How long will they take to respond? Knowing the services they offer will help you know what you’re getting into and what you can expect from the any locksmith’s. 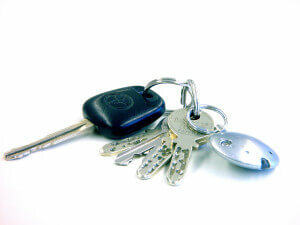 One other thing to look at when it comes to choosing a locksmith is the costs. Some companies may also charge call-out charges which are then added to your bill. This would obviously increase your total bill. Look for any hidden costs or costs you aren’t aware of. Knowing these costs will help ensure you get the best Kirkland locksmith’s for your budget. Also, make sure they can deliver what you want. Otherwise, it’s useless.